"Xīn xiǎng shì chéng -- may all your wishes come true." Happy Spring Festival! That is, Happy Chinese Year! 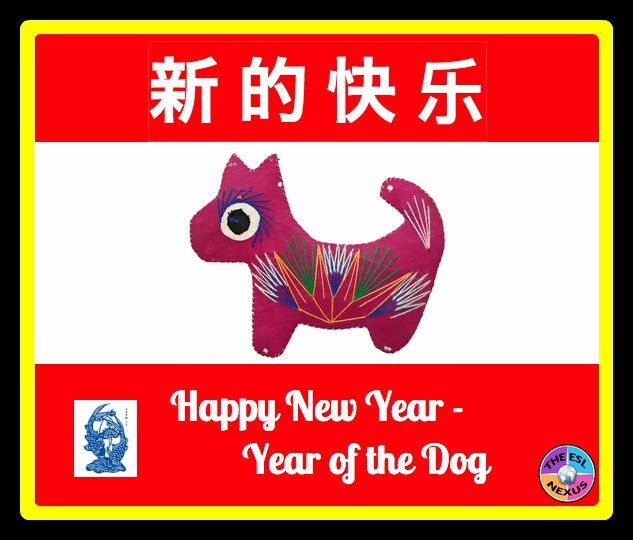 Technically, it began Thursday night but Friday was the first full day it was celebrated in the U.S. It’s now the Year of the Dog, which is the second to last animal in the Chinese zodiac. So what are people born in the Year of the Dog like? Well, just like your canine pet, these people are loyal, trusting, and honest. They’re also very friendly. On the other hand, they are opinionated and like to argue. They get along best with Rabbit, Tiger, and Horse people. 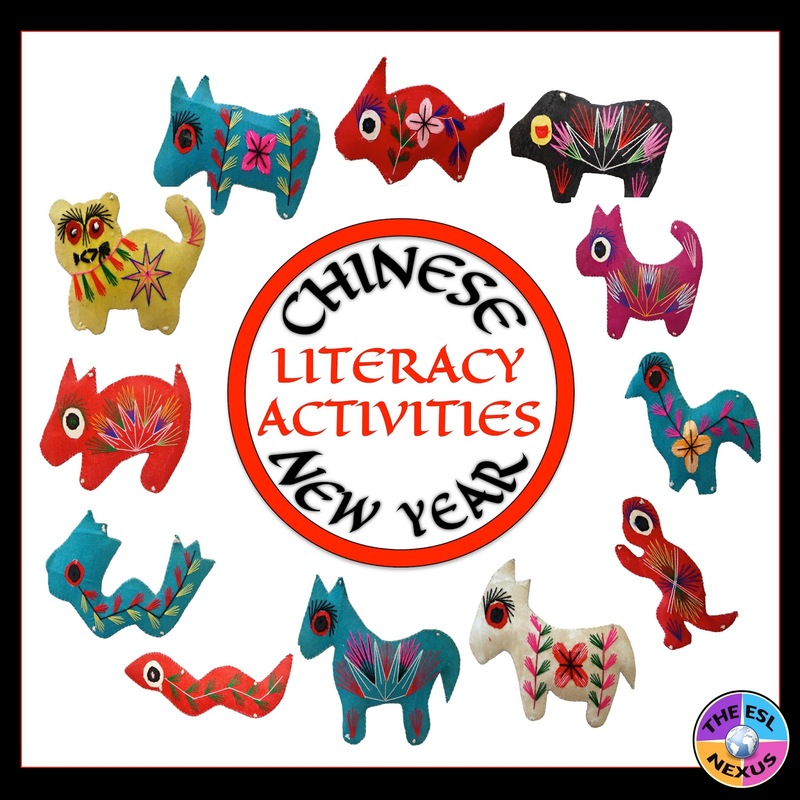 If you’d like to know more about the various animals of the Chinese zodiac and their personality traits, my Chinese New Year Writing and Reading resource includes info about each zodiac animal and asks students to write a paragraph stating whether they agree or disagree with the description. Find it HERE. Chinese New Year lasts for 15 days and culminates with the Lantern Festival on March 2nd. 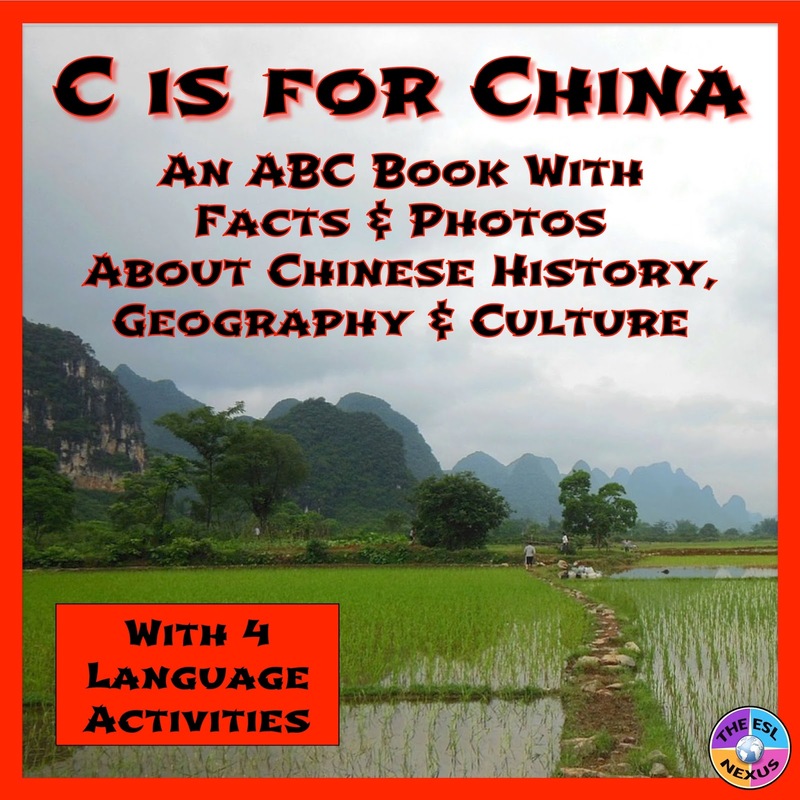 To teach your students about Chinese history, geography and culture, my ABC book, C is for China, covers 26 topics in easy-to-understand language. Each topic is illustrated with a photo and the resource also includes grammar and writing tasks your students can do. Click HERE for more info. 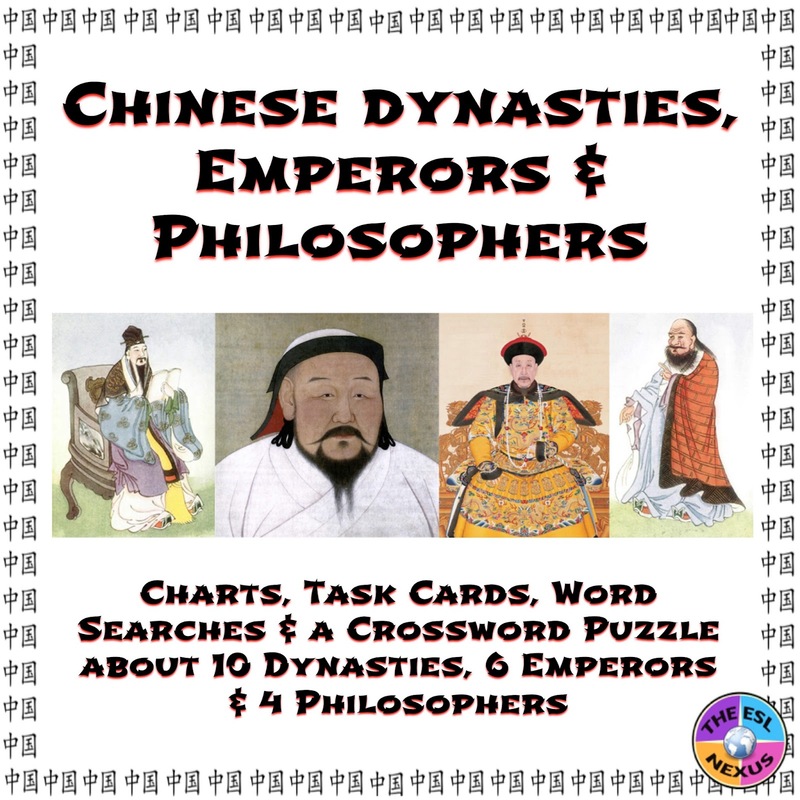 My newest resource offers information about 10 Chinese dynasties, 6 emperors, and 4 philosophers. There are blank and filled-in charts students can use for reading or note-taking as well as task cards and word search and crossword puzzles. It took me many months to finish this resource and I’m happy that I finally completed it in time for Chinese New Year. See it HERE. I wish you and all your students a wonderful year!